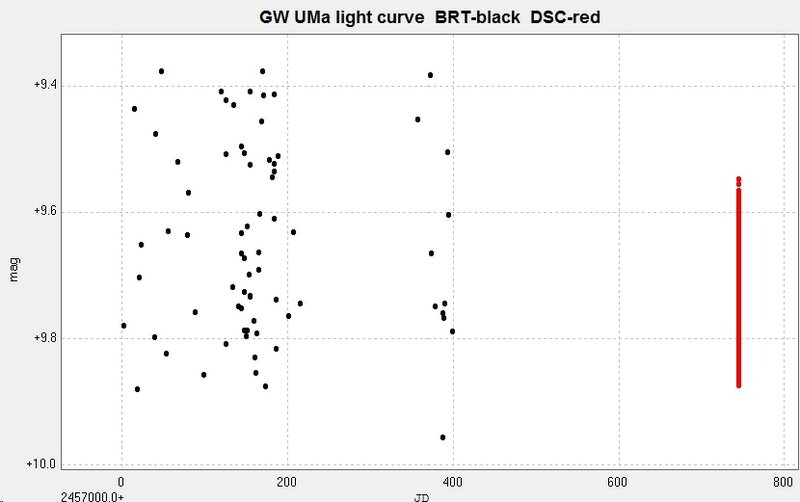 Light curves and phase diagrams of the HADS type variable star GW Ursae Majoris. This was in the same field as my target star TX UMa. 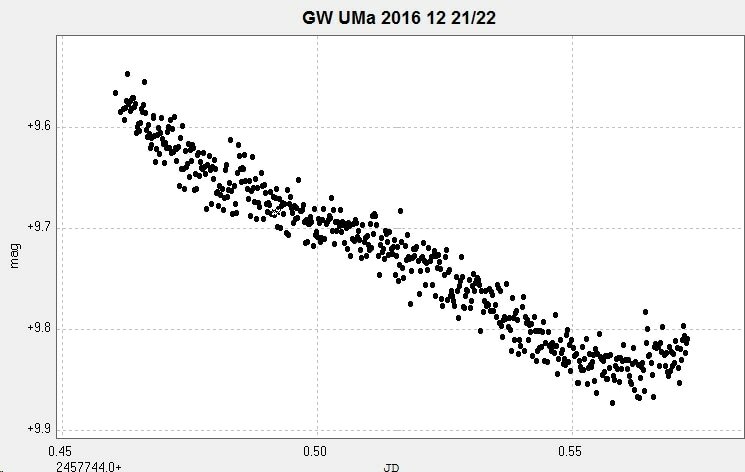 Light curve taken from 534 unfiltered images taken with the 2" Titan on 2016 12 21. 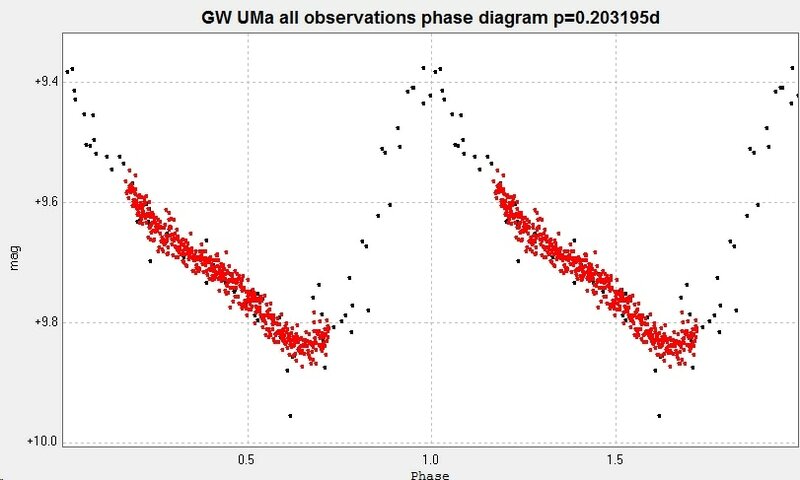 ​The following light curve and phase diagram were constructed from photometry of 72 images taken with the Bradford Robotic Telescope Cluster Camera between 2014 December 10 and 2016 January 11. These were through a tricolour green filter. 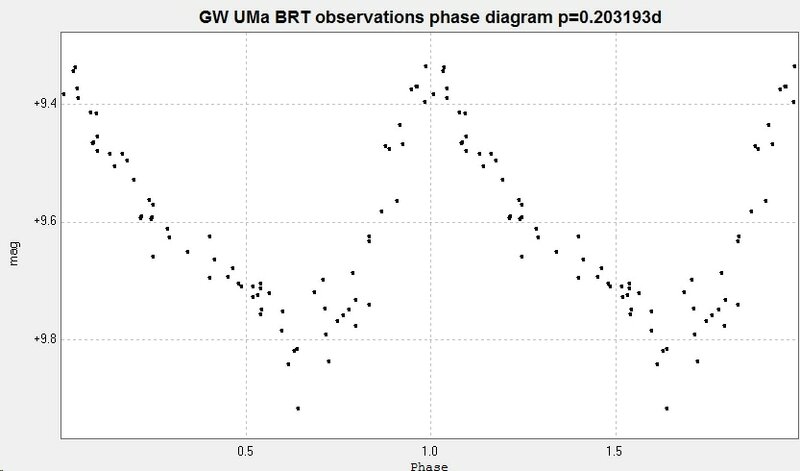 ​Combining the two sets of data generates the following light curve and phase diagram. The Bradford Robotic Telescope observations are in black and the Somerby Observatory 2" Titan results are in red. 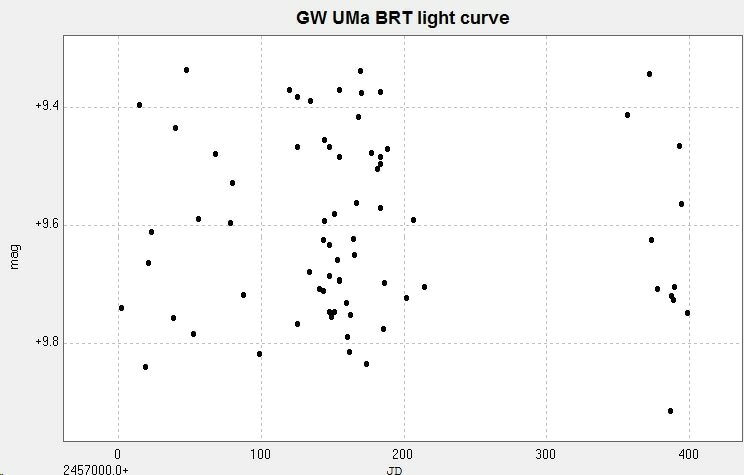 The BRT values have been arbitrarily reduced in brightness by 0.04 mag in order to better align the two sets of data.